On March 1 st , 1921, Willie's parents and their first five children were enroute by train from California to Texas when Willie's mother began having labor pains. The family was let off the train in Beaumont, Texas and Willie was born the day the family arrived in Texas. He was the sixth of 13 children. Willie's parent's came from California to Texas to seek better farming opportunities. The Tanamachi family lived in various Texas locations until settling in San Benito, Texas in 1933. Willie graduated in from San Benito High School in 1938. At the age of 19, Willie enlisted in the Army Air Corp. He was the first of four brothers in his family to do so. His brother Goro joined the Army Air Corp later. 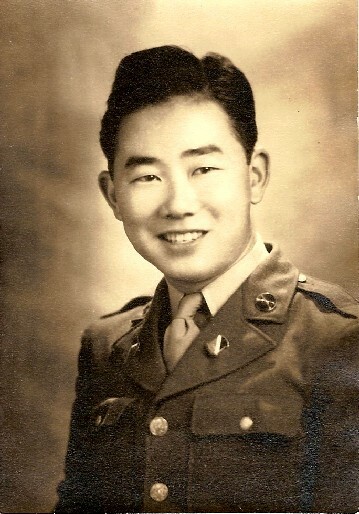 His brother Saburo was drafted in Feb. 1944 for the 442 nd and was KIA in Oct. 1944. 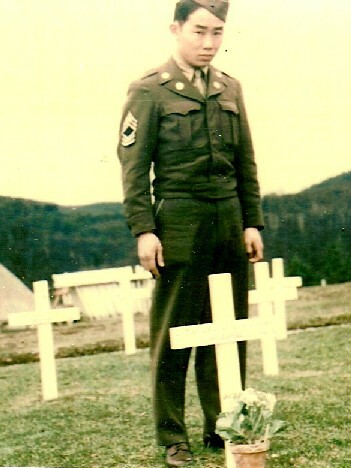 The youngest brother Walter joined as a 2 nd Lt. In 1946. Willie once stated, “Never thought of myself as other than American. This was taught to me by my parents”. After December 1941 Willie and Goro were kicked out of the Army Air Corp and sent to other branches of the military. Willie arrived at Camp Shelby in the summer of 1944 as a sergeant with almost 4 yrs. Service. Joined the Cadre and worked in battalion headquarters. The unit was designated the 171 st Infantry Battalion (Separate) and trained replacements for the 442 nd . In June 1945 Willie left New York aboard the Queen Mary for France and in July traveled via “40 + 8” freight cars from France to Germany. Willie served two tours in Vietnam. The first tour in 1961 as an advisor in Military Assistance Advisory Group (MAAG). Second tour was served 1969-1970 in Cam Ranh Bay,Vietnam. He retired from the military in November 1971 after more than 30 years of military service. He subsequently worked for the Department of Defense at LBJ Space Center, Houston, the US Marshals Service and is currently employed as a consultant at the University of Houston in the Small Business Development Center (SBDC). It was while stationed in Germany that he met his wife, Ingeborg. They have been married for 52 years. They have four children.